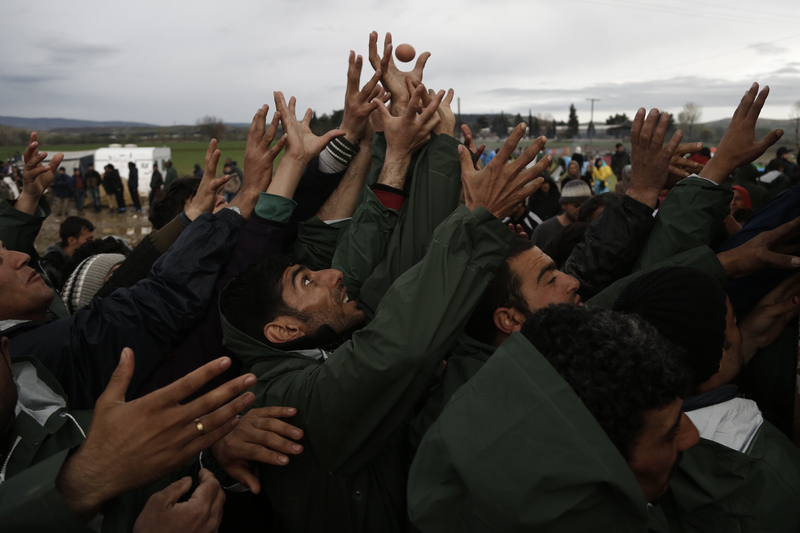 Refugees and migrants struggle during a food distribution at a refugee camp, at the border between Greece and the Former Yugoslav Republic of Macedonia (FYROM, near Idomeni, northern Greece, 10 March 2016. 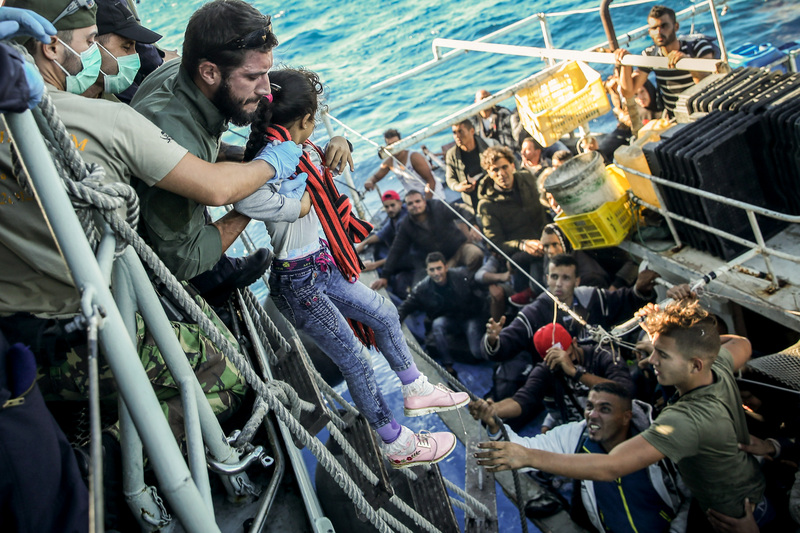 After Slovenia, Croatia, Serbia and Macedonia have sealed their borders to the migration flow, tens of thousands of people are left stranded in Greece, where most migrants enter the European Union to continue on to countries in Europe. 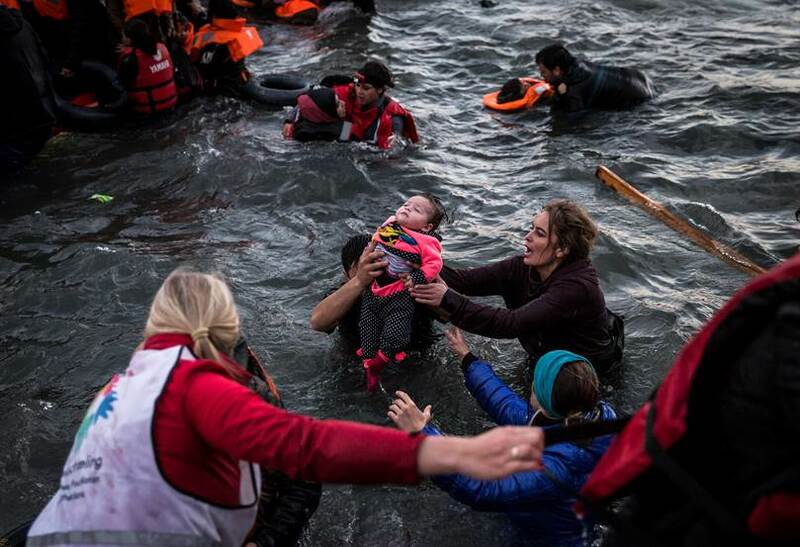 Volunteers help a refugee man and baby as refugees hoping to cross into Europe, arrive on the shore of Lesbos Island, Greece after crossing the Aegean sea from Turkey on November 29, 2015. 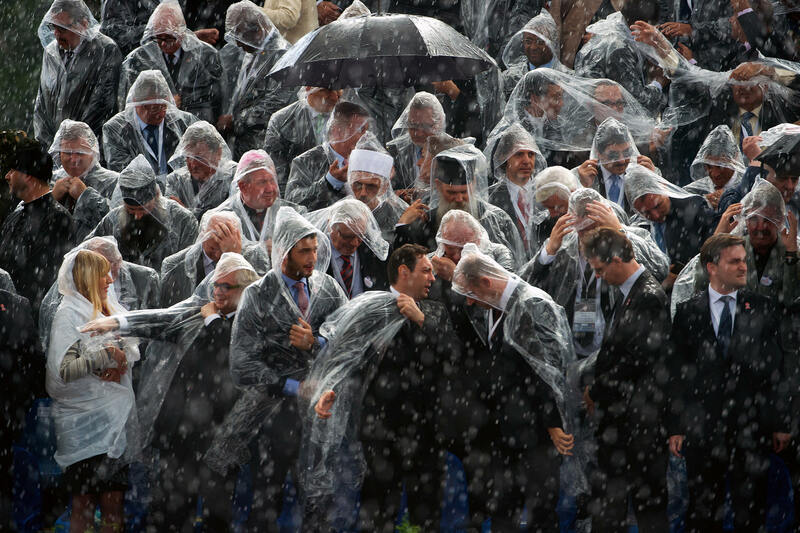 Serbia's Government Ministries and religious dignitaries try to fast wear rain suits as torrential rain suddenly hits Belgrade during a military parade in honour of visit Russian Persident Vladimir Putin. Mr. Srdjan Ilic could not attend the ceremony. 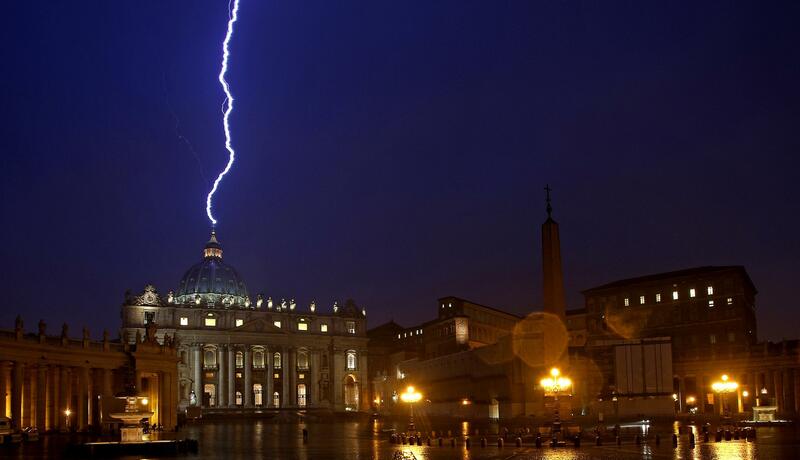 11.02.13 - Flash of lighting over St.Peter's Dome during a rainstorm,in the day of Pope's announced resignments, Vatican City. WAFA - 11/20/2012- Bethlehem- Confrontations between Palestinian youth and Israeli forces near the barrier between Jerusalem and Bethlehem. 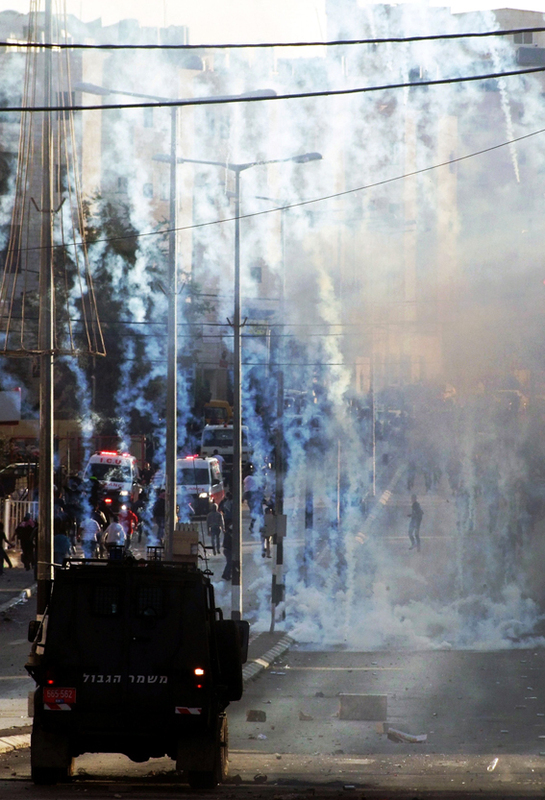 Tear gas rains down on the Palestinian protestors as they demonstrate in solidarity with the people of Gaza and in opposition of �Operation Pillar of Defense�, (in Hebrew literally: "Pillar of Cloud") an operation in the Gaza Strip, officially launched on 14 November 2012 after the assassination of Ahmed Jabari, chief of the Gaza military wing of Hamas. 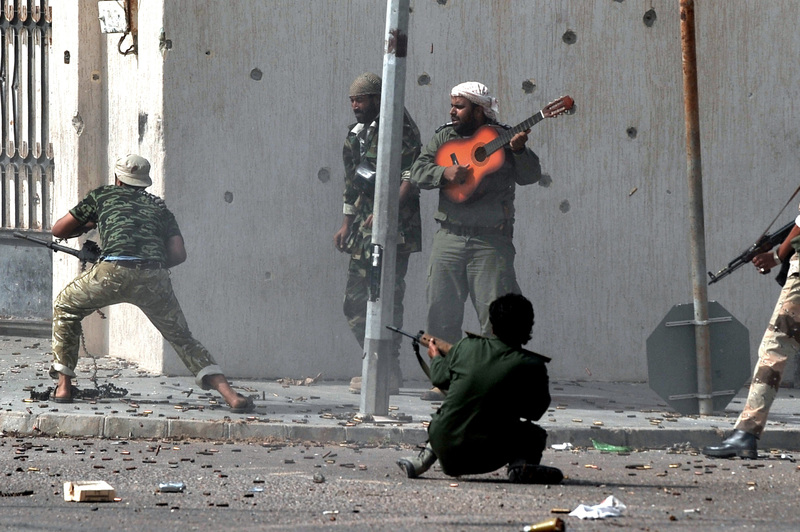 LIBYAN ARAB JAMAHIRIYA, SIRTE, 10.10.11 - Libya's new regime forces fire their weapons at fighters loyal to fugitive strongman Moamer Kadhafi as a comrade plays a guitar during a battle in Sirte on October 10, 2011, in a drive to control Kadhafi's hometown after a month-long siege. LIBIA-ATAQUE: LIB04. 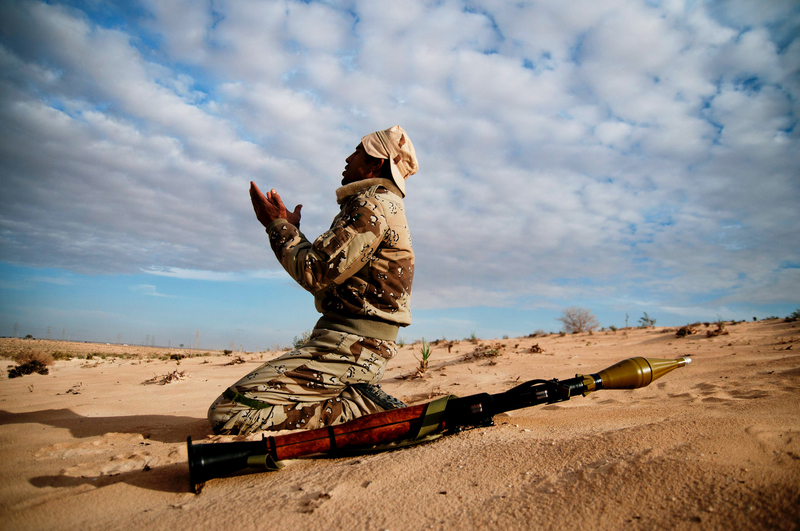 AJDABIYA (LIBIA), 22.03.2011- A rebel soldier prays before the start of a new attack against the Libyan leader Muammar Gaddafi's forces at an unknown location in a desert near Ajdabiya, eastern Libya, 21 March 2011. 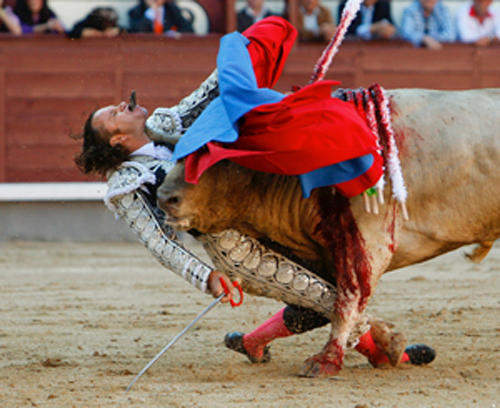 Madrid, 21st May 2010 - Spanish bullfighter Julio Aparicio is gored in the throat by a bull form Pedro Domecq cattle, during a bullfight of the Festival of Saint Isidro in Las Ventas. 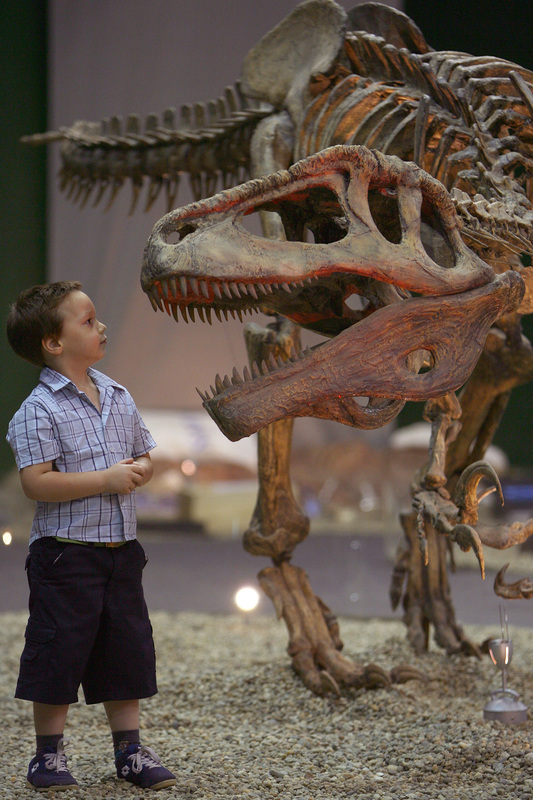 He recovered totally and returned to the arena on 01 August 2010 in Spain. ESPAÑA-TOROS SAN ISIDRO: MADRID, 21/05/2010.- El diestro Julio Aparicio es cogido en el cuello por el primer toro, de la ganadería de Juan Pedro Domecq, en el festejo que se està celebrando en la plaza de toros de Las Ventas correspondiente a la feria de San Isidro. La corrida ha quedado en un mano a mano entre "Morante de la Puebla" y "El Cid". Zagreb, Croatia, 01.09.2010 - Croatian athlet Blanka Vlasic celebrates winning jump during finals of IAAF World Challenge Zagreb 2010 athletics meeting, 1. 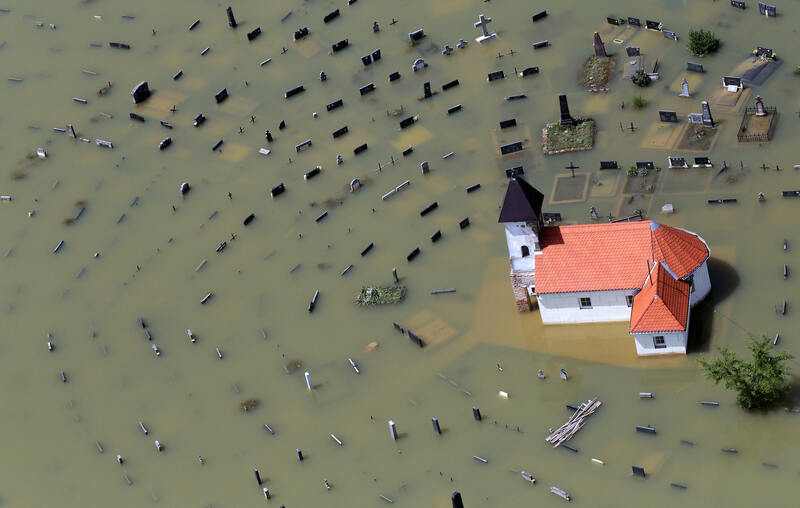 September 2010 in Zagreb, Croatia. Blanka Vlasic was voted best World and European athlet of the 2010. 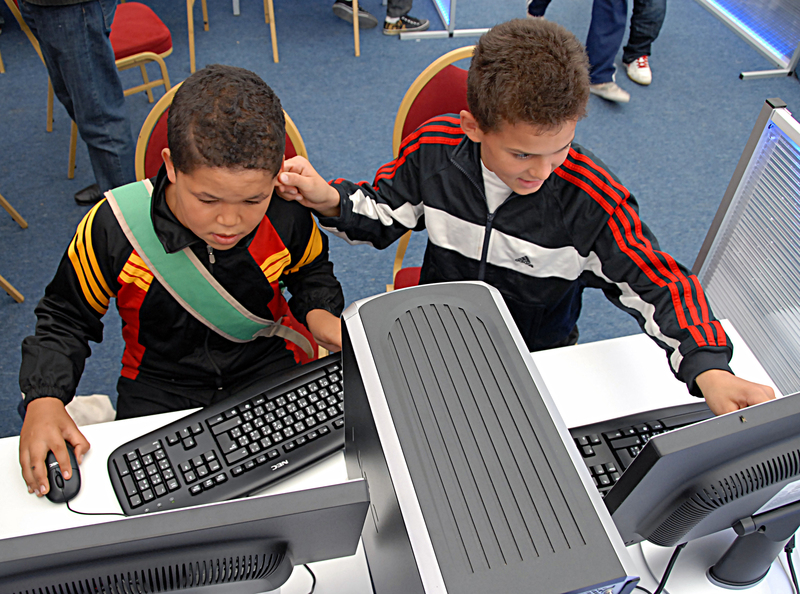 Tunis, 17 October 2009 - Technology Pavillon at the Electoral Village: Children sharing Information Technology Knowledge. Istanbul, 5 April 2009 - "German 2007-2008 Free style motocross champion Hennes Ackerman performed a show at Sultanahmet Square in Istanbul before The Motocross Championship to be held in Istanbul. 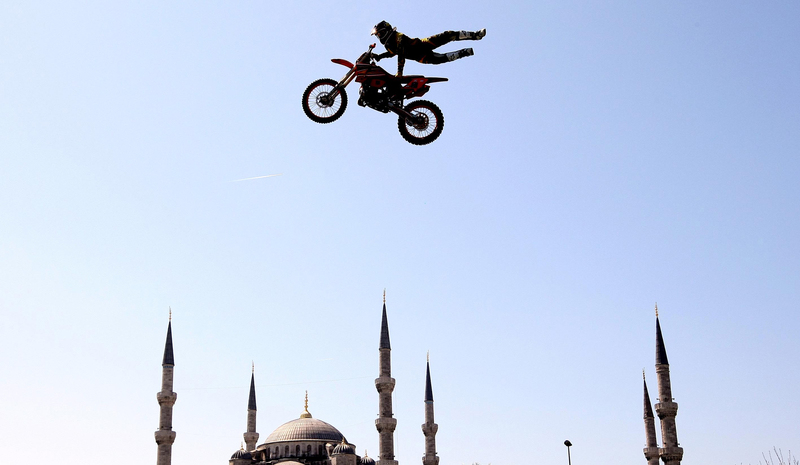 The pilot jumped over the pond on the platform installed at the Sultanahmet square. A young blind boy drawing with an electric device assisted by a sound effects technique. Romanian immigrant dying of flames in the middle of the street in protest of his family's economic plight. Photo taken by Ahmed Ould El Hadj. 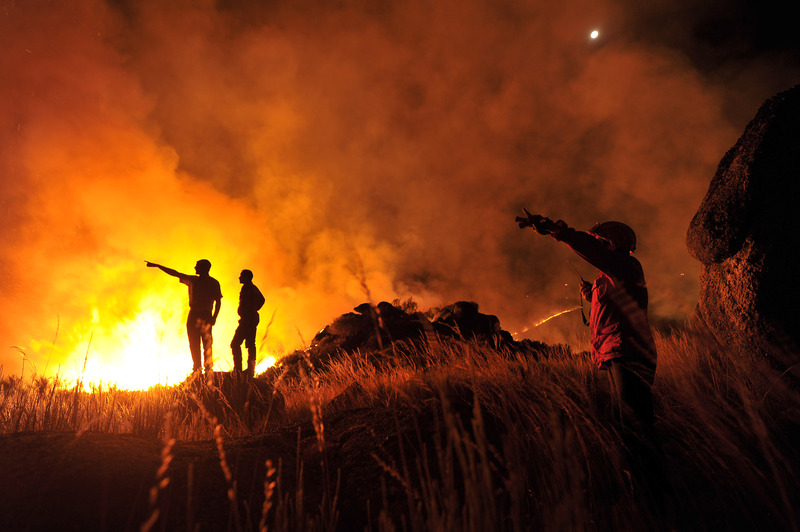 "Le comble de l'incivisme dans le transport urbain est l'ouvre"
Thousands of people evacuated from war-torn Lebanon in summer 2006 and Cyprus served as gateway to the rest of the world. 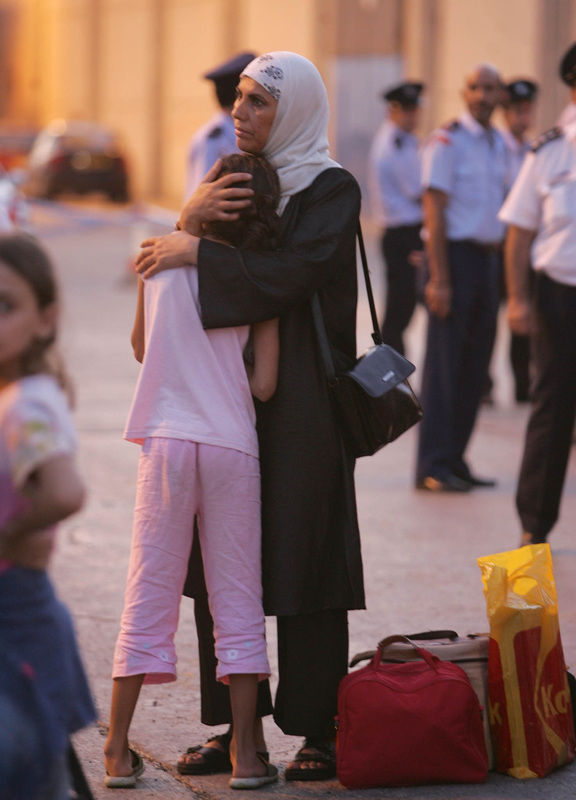 In the CNA picture a mother comforts her daughter minutes after landing at Larnaca Port, under the sympathetic eye of Cypriot policemen.